Hands down, 2018 wasn’t it. A project for another time, perhaps. Instead, for today’s 2018 recap we take a look at the relatively meager collection of baits that boated 216 bass. 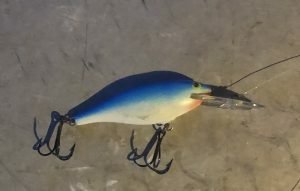 Comments: I do like this lure but in hindsight I’m not sure of my reason for throwing it this fall other than possibly just to say I did because I had it tied on to one of my poles. 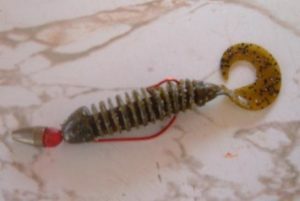 A solid cold water bait which is effective when crawled slowly along the bottom…like I said, not really sure but glad to see a less than glamorous lure make an appearance. Comments: I’d worn out my welcome on one of my favorite walk-in spots as the bass were less than interested in my spinnerbait offerings in spite of some pretty good conditions. Looking for a big bite that the fishing hole has been known to produce I went old school. Didn’t fool a lunker but good to get bit. In addition, I had talked Spook fishing with my buddy, Jim Junk, a few days prior so it stoked the fire to revisit an offering that was a 80s favorite and not surprisingly still fools ‘em. Comments: When an unanticipated trip materialized and provided a shot a November bass, I was all in with two baits. This was one of them and I stepped out of my normal black/blue jig & pig comfort zone with a different color scheme and a plastic trailer. Seeing a guy catch a 5-9 on the lake the previous month with a similar setup was all the evidence I needed. Comments: A solid cool water bait, the lipless crank got it done again, early and late. With the exception of a lone July bass, the rest were near bookends on the year. The first batch came from February through April while the last half dozen came from mid to late October. A true favorite for what I reluctantly refer to as “brainless” bassing. Nothing too fancy here as I used only one color this year when casting it out, cranking it back, covering some water and catching some fish. Comments: I probably invest more time in tossing buzzbaits than I should but they are not only a solid big fish producer, they’re fun and addictive. 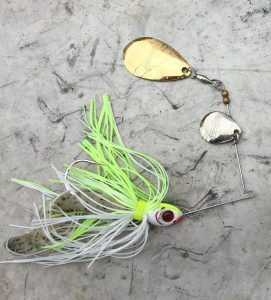 For big fish proof, my 2018 Top Bass came on a buzzbait. However, that was the only Top 5 fish among those fooled on the buzzer, just kind of a weird year on the water. 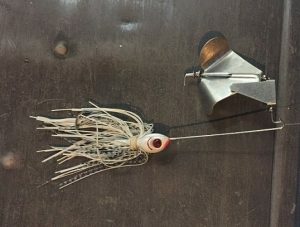 Comments: The Senko wacky rig would probably rank number one among the presentations in my repertoire. And while it sounds like a broken record at this point, I just couldn’t put it in front of any big fish and get them to commit. Don’t for a minute think that those results will discourage this wacky worm devotee though. 2018 was just one of those years. 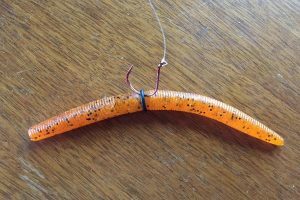 Comments: My 2017 lure wrap-up piece mentioned that the good old spinnerbait, a mainstay from my formative bassing years in the 80s, was still mired in a bit of a disappearing act. Fortunately, while I still have subscriptions to those who have relegated this lure to the second string, I don’t subscribe to that school of thought. 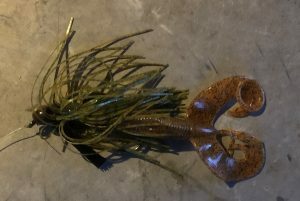 These baits are still a winner in my book and I highly encourage all six of you who read this to pass it on and see if we can bring about a spinnerbait resurgence in 2019. Comments: Yet another batch of baits that typically allow me to fish fast and cover a lot of water. 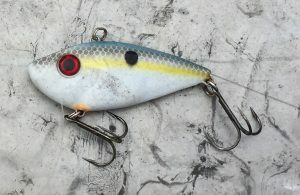 The exception in the group would be the Rapala Shad Rap which I have put to good use the last couple years in fooling some cold water bass. Another highlight was landing a bass on a Rapala Fat Rap for the first time in nearly 20 years as part of a tribute to former Major Leaguer, Rusty Staub, who passed away on March 29, 2018 (click here for post). And there you have it, all of the lures that landed a bass in 2018. You see, who needs a tackle bag stuffed with a hundred lures when about a dozen will take you all the way through the year?